The Department of Environmental Health Sciences is a part of the School of Public Health and Health Sciences, which is fully accredited by the Council of Education for Public Health and is a member of the Association of Schools & Programs of Public Health. The EHS program has been in existence for over 40 years, and has trained and placed graduates in all sectors of environmental health-related research in the New England area and beyond. A distinguishing feature of the program is the close contact students have with the faculty, and the frequent involvement in research. 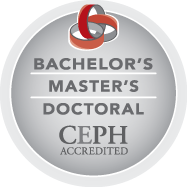 The program boasts an excellent faculty, and a number of distinguished graduates with M.P.H., M.S., and Ph.D. degrees, who are leading the way in solving the complex challenges to the public’s health and well-being.